To move one or more teeth into alignment, our dentist may recommend a retainer. Your retainer will be custom made to provide optimal comfort and effectiveness. 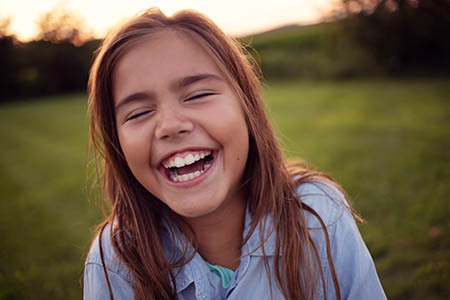 To learn more about the retainer process and to see if this is an option for you, we encourage you to schedule a visit with Dr. Piero, the best dentist in Holland, Michigan. Post-orthodontic retainers help keep teeth aligned. After orthodontic treatment, it is important to maintain the alignment of your teeth for a period of time, this is where your custom made retainer comes in. If you have finished your orthodontic treatment, such as braces, our dentist may recommend a retainer to keep your smile properly aligned. Teeth naturally tend to shift with age. A retainer ensures that your teeth remain in correct alignment for optimal oral health, functionality, and appearance. Hawley retainers are a series of clasps and wires embedded in a plastic body that covers the roof of the mouth (for the upper arch) or sits behind the teeth (for the lower arch). The retainer stays anchored in place by clasping to certain teeth, while the wire arches across the front of the teeth to maintain their alignment. Clear retainers are, as one may assume, clear plastic moldings that sit over the teeth. A clear retainer is usually more discreet than a Hawley retainer, although it may not be as durable. 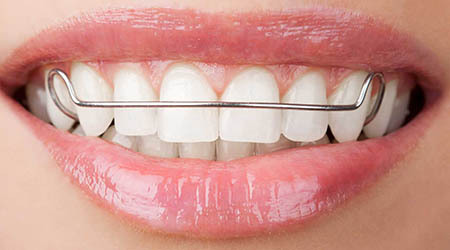 Fixed retainers, sometimes known as permanent or bonded retainers, cannot be removed by the patient as they are permanently attached to the backside of the front teeth. This prevents the teeth from shifting out of place and can be removed by your dentist once the teeth have become accustomed to their new positions.